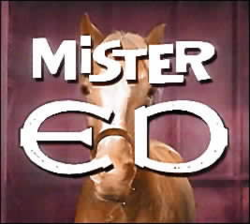 Mister Ed is an American television sitcom produced by Filmways that first aired in syndication from January 5 to July 2, 1961, and then on CBS from October 1, 1961, to February 6, 1966. The show’s title character is a talking horse, originally appearing in short stories by Walter R. Brooks. 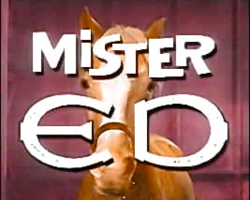 Mister Ed is one of the few series to debut in syndication and be picked up by a major network for prime time. Alan Young (19 November 1919 – 19 May 2016) was an English-Canadian-American actor, voice artist, comedian, radio host, television host and personality best known for his role as Wilbur Post in the television comedy series Mister Ed and as the voice of Scrooge McDuck in Disney films, TV series and video games. During the 1940s and 1950’s, he starred in his own shows on radio and television. He also appeared in a number of feature films, including The Time Machine. Allan “Rocky” Lane (September 22, 1909 – October 27, 1973) was an American studio leading man and the star of many cowboy B-movies in the 1940s and 1950s. He appeared in more than 125 films and TV shows in a career lasting from 1929 to 1966. He is best known for being the voice of the talking horse on the television series Mister Ed, beginning in 1961. The show’s concept resembles that of the Francis the Talking Mule movies in which an equine title character talks, but only to one person, thus causing a variety of opportunities and frustrations. The first six Francis films (1950–55) were also directed by Lubin. 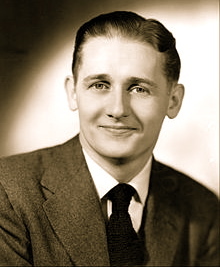 Alan Young (19 November 1919 – 19 May 2016) was an English-Canadian-American actor, voice artist, comedian, radio host, television host and personality best known for his role as Wilbur Post in the television comedy series Mister Ed and as the voice of Scrooge McDuck in Disney films, TV series and video games. During the 1940s and 1950s, he starred in his own shows on radio and television. He also appeared in a number of feature films, including The Time Machine. Lubin wanted to make a Francis TV series but had been unable to secure the rights. However someone told him about Brooks’ series of stories. He optioned these for TV. Comedian George Burns financed the original pilot for Mister Ed which was shot at his McCadden Studio in Hollywood at a cost of $70,000. Scott McKay played Wilbur. Jack Benny was also involved behind the scenes. Lubin was unable to sell the show to a network. Lubin decided to sell the show into syndication first. He managed to get single sponsor identification for the program on over 100 stations. The show was recast with Alan Young in the lead. Production began in November 1960 although Lubin did not direct early episodes because he was working in Europe on a film. The first 26 episodes were well received enough for the show to be picked up by CBS. Connie Hines (March 24, 1931 – December 18, 2009) was an American actress, best known for playing Alan Young’s wife, Carol Post, on the 1960s sitcom Mister Ed. The other main character throughout the series is Wilbur’s generally tolerant young wife, Carol (Connie Hines). The Posts also have two sets of neighbors, to whom Ed delights in making Wilbur appear as eccentric as possible. 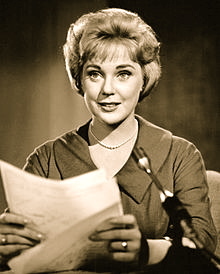 They included the Addisons, Roger (Larry Keating) and his wife Kay (Edna Skinner), who both appeared from the pilot episode until Keating’s death in 1963; thereafter, Skinner continued appearing as Kay, without mention of Roger’s absence, until the neighbors were recast. During this period, Kay’s brother Paul Fenton (Jack Albertson), who had made occasional appearances before, appears. Following the Addisons, the Posts’ new neighbors were Col. Gordon Kirkwood, USAF (Ret. 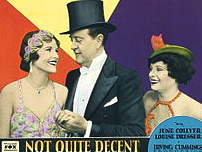 ), portrayed by Leon Ames, Wilbur’s former commanding officer, and his wife Winnie (Florence MacMichael). They appeared on the series from 1963 to 1965. In the final season, the Kirkwoods were phased out, while Carol’s grumpy and uptight father, Mr. Higgins (Barry Kelley), who appeared occasionally throughout the entire series, apparently moved in with Wilbur and Carol during the final episodes. Mr. Higgins loathes Wilbur since Wilbur’s quirky eccentricity always clashes with his own emotionless and uptight personality. Carol’s father never stops trying to persuade her to divorce Wilbur, whom he often refers to as a “kook” because of Wilbur’s clumsiness. Alan Young performed double duty during the final season of the series, also directing nearly all episodes. The Posts resided at 17230 Valley Spring in the San Fernando Valley.